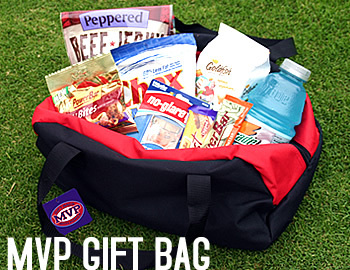 MVP GIFT BAG :: Promotional products you won't see anywhere else! Join us on for additional product features and real-time information on new products releases. Become a fan and be the first to introduce new promotional products to your clients. Our gift bags and products are unique and refreshing changes to what is available as corporate gifts, promotional items, incentives, product/event launches. Our goal is to be as creative as you are and to provide businesses with truly powerful promotional items. Check back often to see what new products we are offering!